The Department of Housing and Urban Development has claimed changes to reverse mortgages will protect borrowers from eating up their equity. The FHA has released structural changes to the Home Equity Conversion Mortgage (HECM), which will limit the amount of money borrowers can draw out at closing, and will also limit subsequent draws over the first 12 months of the loan. The changes will also increase the initial mortgage insurance premiums on disbursements, and require borrowers to set aside funds for payment of property taxes and insurance. HUD argued said the changes were part of modifications to the program the FHA asked Congress for in November 2012, as a result of reviewing the FHA HECM portfolio. "The FY 2012 review of the portfolio indicated that HECM loans—as a result of the financial crisis, changing demographics, and new usage trends—might experience higher levels of default in the coming years. And that would hurt elderly homeowners, the Mutual Mortgage Insurance (MMI) Fund, and taxpayers," HUD said. On the Department's blog, HUD said the changes announced to the program would make the program "easier for seniors to use responsibly", and that the limit on equity drawdowns would "help seniors make more responsible financial choices, preserving sufficient funds over the life of the loan". "These changes will improve the future performance of the Fund, and help preserve a program that allows seniors to remain productive, vital members of their communities. 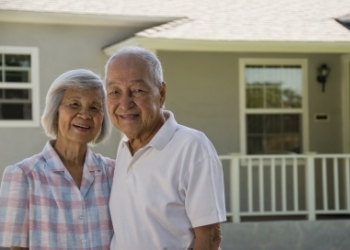 Most importantly, these changes mean that seniors who choose HECM will be set up for financial success," HUD said.